We are pleased to feature this guest blog from Barbara Bussey, she has been involved in the health industry for years, both from a personal and professional perspective. Barbara holds a Bachelors of Science in Health and Wellness/Human Anatomy & Physiology with additional certification in Holistic Nutrition. She is a true believer in the power of using storytelling to captivate, educate, inspire, and motivate people to pair nutritional knowledge with action so that they, too, take steps toward living healthier lifestyles. I lose myself in glittering gold as I drive my daily route to work, up the Don Valley Parkway, Toronto’s main artery to and from its downtown core. It’s that time of year when the leaves have turned beautiful, exhibiting that sparkling yellow as well as other majestic hues of orange and red. I know inside it’s a sign of the impending winter but I still relish in the joy of this metabolic moment. Yes, metabolic. We may never stop to think but the changing of the colours is all part of a tree’s metabolism. When most of us hear this word, we think solely of action, strength, and fuel for power to make things happen. It’s a word robust with vitality. Metabolic is to ‘life-supporting’ as vitality is, according to Taber’s Cyclopedic Medical Dictionary, the ‘state of being alive’. The two make a perfect pair. Scientifically, metabolism refers to the physical and chemical changes that occur within your body. These changes are life-sustaining and require energy in order to happen. The energy is acquired from a combination of air, water, sunlight and food. Not unlike the changing beauty in the autumn leaves right now, the physical or biological portion of metabolism refers to the obvious transformations we experience through life as we grow, mature, and age. The chemical portion of metabolism refers to the transformation, for example, of foodstuff into energy which we are then able to use as fuel to go about our daily activities. It’s the magic that happens after you wolf down your breakfast and then jet set off to work or go for that stress reducing long bike ride. Unbeknownst to you, as you dig through the pile of papers on your desk or push the pedals of your bicycle, your body is diligently working behind the scenes to break down the food you just ate into vitamins, minerals, and enzymes in order to feed the biochemical machinery that produces the energy you are outputting for such tasks. Every day, most of us spend our days at work where we are expected to problem solve. Cells work this way too. They seek to be the best in their chosen field. For example, some cells work to repair and rebuild tissue. After food breaks down in the digestive tract, nutrients make their way through the intestinal wall to your bloodstream. This provides nutrient delivery service directly to the appropriate cells throughout the body. Upon arrival, nutrients are given a warm cellular welcome where they are made part of the cell itself. It might be their new home but they’re expected to pitch in and help out. Proving to be better together than they are a part, the cell’s assimilation of nutrients enables a powerhouse of energy production to repair, rebuild, and fulfill its contribution to the whole health of your person. But metabolism has its ups and downs depending on the nutrient supply. Look at the trees; when nutrient supplies run low, the leaves change colour and eventually fall off. While this isn’t exactly the same as what happens in your body, you can definitely tell when your metabolism isn’t working right. You have less energy, you may feel more depressed, and you may even be more prone to colds. In essence, your metabolism is only as good as the nutrients you take in. The fall brings about a harvest and a wonderful supply of nutrients in the form of vegetables. The choices are endless it seems, although many seem to forget about one highly nutritious staple seen everywhere around this time. It’s the Pumpkin, or if you wish, the Winter Squash. Let me explain. Winter squash, of which pumpkin is one, offers exceptional amounts of carotenes, alpha-lenolenic acic (ALA) – an omega-3 essential fatty acid that is very good for heart health, vitamin C, fiber, potassium, folate, vitamin B6 and niacin. Carotenes (perhaps most familiar being beta-carotene) are converted into vitamin A and also exert antioxidant activity making the partnership with vitamin C that much more beneficial. Antioxidants, as you may know, clean house by scooping up free radicals. 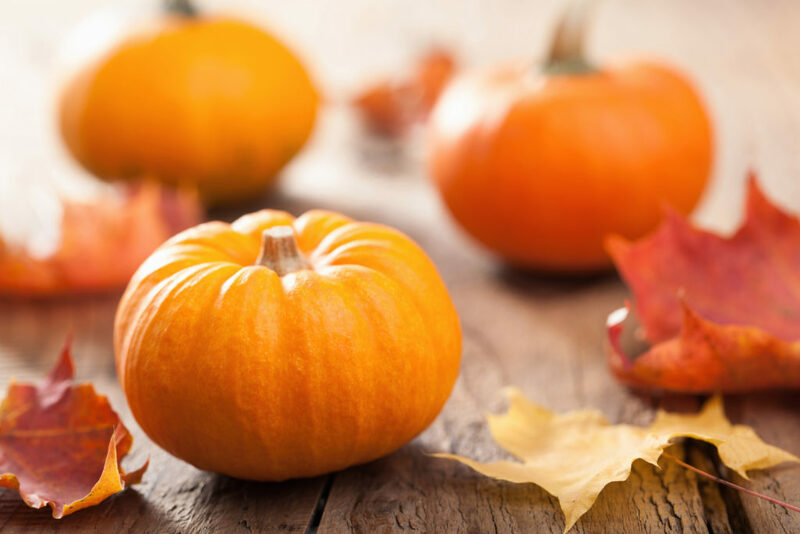 Vitamin A is a major determinant of immune status, promoting respiratory health and lung function, of which pumpkin and butternut squash have been shown to be especially concentrated. The most wonderful thing about winter squash is its versatility. You can make an endless variety of wonderful dishes. Sure, there’s pie, but that’s not all. Think about using it as the base for stews and curries. You can pickle it, making for a wonderful treat. Then there is the oil, which is both nutritious and delicious. Did you know, Pumpkin seeds (aka pepitas) boasts over 60 nutrients?! Dry roasting them at a low temperature (70-75 degrees Celsius) will give them a lightly roasted flavor and develop their sweetness. Granted, this takes time and you may want to find a simpler route for getting a pumpkin fix (other than in a latte, which by the way, has little to no pumpkin in it). There is another option: a nutrient rich smoothie. Tomorrow’s post will offer you the opportunity to take advantage of nature’s annual harvest with a feature pumpkin smoothie recipe that is as colourful and delicious as it is nutritious, you will want to sneak a peek! Mateljan, George. The World’s Healthiest Foods. Seattle, Washington: George Mateljan Foundation, 2007. Murray, Michael. The Encyclopedia of Healing Foods. New York, NY: Atria Books, 2005. Wolcott, W, Fahey, T. The Metabolic Typing Diet. New York, NY: Doubleday, a division of Random House, 2000.